Does knowing your past genetic blueprint unlock potential for your future? You can pay $100 and learn all kinds of things about your DNA, your ancestry, and even identify long lost cousins that live on the other side of the planet. You can find out what percentage Neanderthal you are, and why you like the taste of fresh strawberries so much – but does gene sequencing tell you everything you need to know about your health and personality? 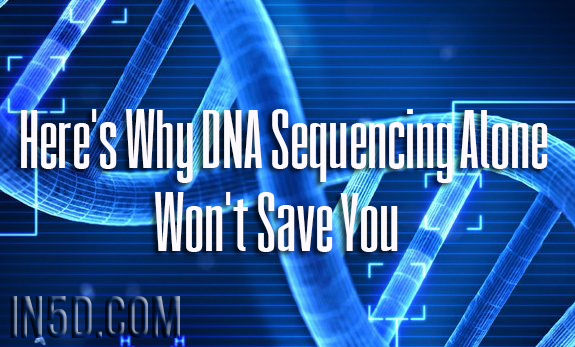 You can use sites like 23andMe, Ancestry.com, and LivingDNA to test your DNA. These sites vary in their reporting of your DNA, and its heritage, but some can go back as many as 10 generations to give you a breakdown of where your family likely resided in the past several hundred years. They can tell you if your ancestors were lactose intolerant or 37 percent Scandinavian. They can even tell you if you have a genetic anomaly. BHMT – This is a gene that instructs the enzyme which creates methionine, an amino acid building block that help the body process choline oxidation. Brain issues like ADHD have been linked to this gene since we need choline for optimal brain functioning. Choline also supports nerve functioning, energy levels, and a healthy metabolism. It even help support DNA methylation, and important process that happens in epigenetic alterations. Our bodies use it several hundred times a day, so it is very important. However, you can also boost your choline intake just from changing your diet. Babies get plenty of it in breastmilk, and they need it since it is so important for brain development, but you can also add more choline by eating organic tofu, quinoa, broccoli, and Brussels sprouts, or by taking a vegan supplement. Here’s another shocking fact, though. You can also help your brain metabolize choline, and other important amino acids it needs for optimal performance by simply practicing Zen meditation. 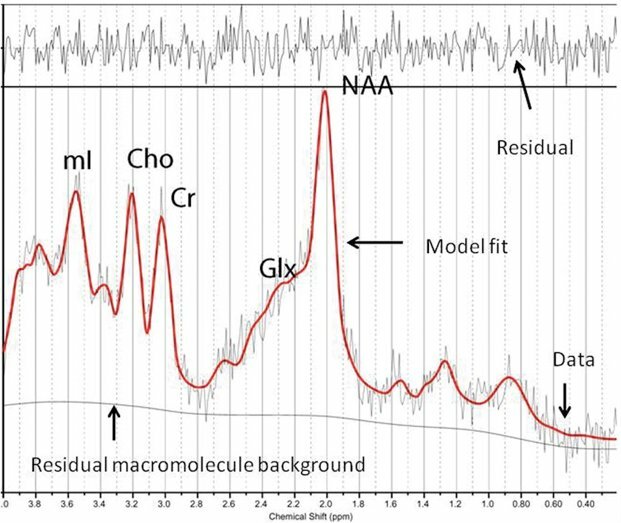 The following image shows the chemical shift in the brain which happens after participants in a study were measured for different brain changes following meditation. [Cho] represents choline. Diet and meditation are two of the components which can change your DNA – altering 10 generations of epigenetic programming. So, yes, you can find out if your body doesn’t metabolize choline very well, or you can just meditate and eat well to be sure that it does it better. Your genes do not determine your future. They are only the blueprints of your past. The results of the Human Genome Project revealed that there are only about 34,000 genes in the human genome. Two thirds of the anticipated genes do not exist! We have some of the same genes as a fruit fly and a microscopic roundworm that lived 500-600 million years ago – so yes, it is fascinating to find out that our ancestors were from ancient Egypt if we currently live in Boise, Idaho. However, just having a genetic sequence doesn’t tell us what we truly need to know. 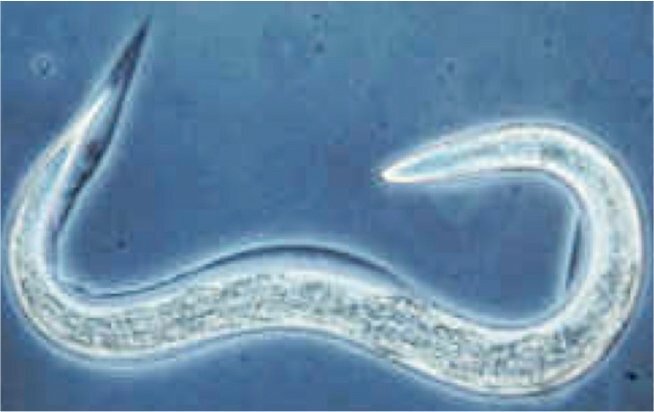 Caenorhabditis elegans shares a large percentage of its genes with modern humans. Genetic testing will also reveal if you have the CBS mutation, which will make it harder for them to digest sulfur-rich foods like eggs, dairy, and dried fruits. Or maybe you have the COMT gene mutation that plays a pivotal role in balancing neurotransmitters (brain hormones) that can prevent anxiety, depression, bipolar disease, and obsessive-compulsive disorder. Perhaps your genetic test will even reveal that you have the MAO mutation which helps to regulate the neurotransmitter, serotonin – also responsible for mental health, and even the activation of higher states of awareness through the pineal gland. Or, maybe you have higher or lower levels of CYP1A2 which help your body detox from caffeine when you drink coffee and tea. Here’s the fascinating thing about genes though – just like the lowly microscopic Caenorhabditis elegans which has the potential to become something larger from just 4 genes, we, too, can grow exponentially past our current physical potential. With healing modalities like meditation, sound therapy, reiki, yoga, and the Soul Reprogramming Method, we can return to our seed energy – which is LOVE. Because LOVE is the foundation of all of God’s creation. When we return to this state, our DNA reprograms itself to reorganize at a higher level. 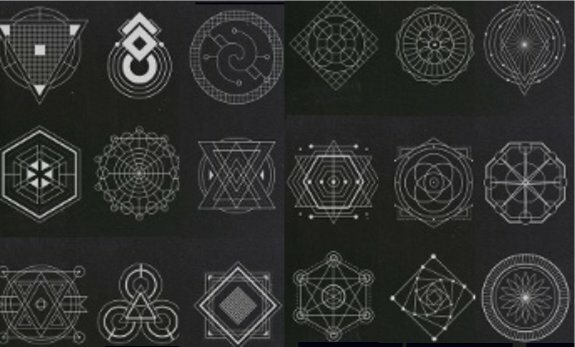 We can observe a glimpse of this in sacred geometry. Our body and cells don’t make a distinction between a physical experience and an etheric one. When we think of sucking on a lemon, the same effect is produced in the body as if we were doing it in the physical level. In our origins, before being born; the original idea of the human being included twelve strands of holographic, connected DNA. However, as soon as we are born, and come into contact with the atmospheric elements of the earth, ten of those strands are disconnected and only two remain. These strands – which include a FULL blueprint for our potentiality can be reinstated. By changing our epigenetic programs, we can not only become healthy, but reveal the LOVE energy behind even genetic mutations like Autism or William’s Syndrome, which contain the blueprint for a much greater ability to love one another and perform at cognitive levels we’ve only dreamt of. Our bodies are healed because we take away the pre-conditions and false beliefs of our ancestors. We return to a state this is not just several hundred years old or even several thousand, but that is TIMELESS. Ancient civilizations that go back pre-Ice Age still had this wisdom. No genetic sequencing test will reveal the secrets which these civilizations held dear. Genetic testing can be fun, and even educational, but it doesn’t contain the ancient wisdom, that Plato, and Graham Hancock talk about in our extreme past. This is the true wisdom of your DNA. And you can unlock it, now. Please republish this article freely with credit to In5d.com, Johanna Bassols, and with all links intact. About the author: Johanna Bassols is the creator of the Soul Reprogramming Method and founder of the Healers of the Light Academy. At 12 years of age Johanna was performing past life regressions, hypnosis, and astral projections for her friends and relatives. She was a misunderstood child who grew to accept her gifts, and turned them into her passion. She studied Public Law at the Pontificida Universidad Catolica del Peru, and runs a successful real estate brokerage in Miami Beach, Florida. After more than 25 years researching in metaphysics, frequencies, healing methods and other applied sciences, she finally received her own DNA activation and download of information, spontaneously. This is when she started teaching her signature class: The Soul Reprogramming Method, a modality taught by DNA activation, where she teaches others how to reset and update the entire human operating system with the aid of metaphysical elements.